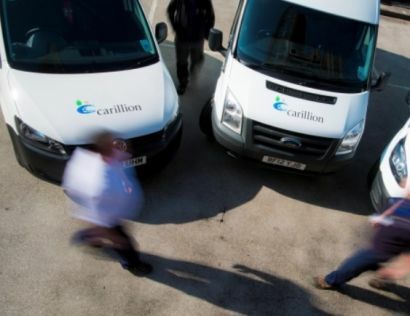 THE construction company Carillion has gone into liquidation, after months of financial uncertainty and plummeting share values. The move has put 20,000 British jobs and another 23,000 overseas at risk. It raises questions over the future of hundreds of projects, including work on Phase 1 of HS2. The company is also the second largest supplier of maintenance services to Network Rail. The move came after last-minute rescue talks failed. Carillion chairman Philip Green said it was a ‘very sad day’. Staff pension funds will now be managed and protected by the Pension Protection Fund. The RMT has dubbed the development ‘disastrous. The union is calling for urgent meetings with Network Rail and train companies today ’with the objective of protecting our members jobs and pensions’. Questions are being asked why the government continued to award contracts to the firm, in spite of repeated profit warnings and growing concern in the City during 2017. RMT general secretary Mick Cash said: "This is disastrous news for the workforce and disastrous news for transport and public services in Britain and RMT has been warning since Thursday night that we thought the collapse of the company was imminent. Mr Cash added: “RMT members at Carillion provide a wide range of services on the railways from safety critical renewals and infrastructure work to train care and support facilities. RMT is meeting with Network Rail today and we will be demanding guarantees and assurances on the jobs and pensions of our members with the work taken in house as a matter of urgency."